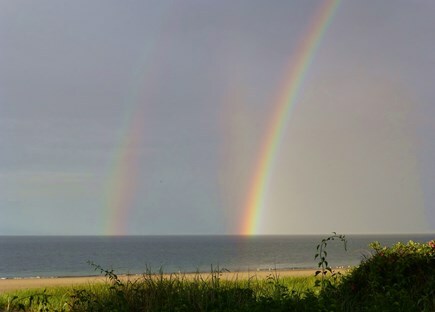 Double rainbow over our private beach! 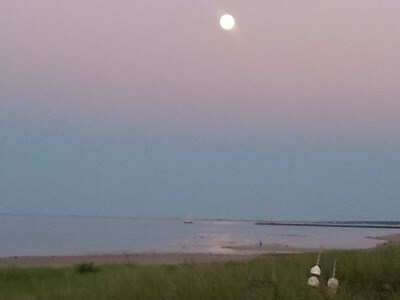 Sagamore Beach is one of Cape Cod's best kept secrets. This house is located directly on a private beach with extensive sandbars, ideal for walks, building sandcastles, and exploring tide pools. 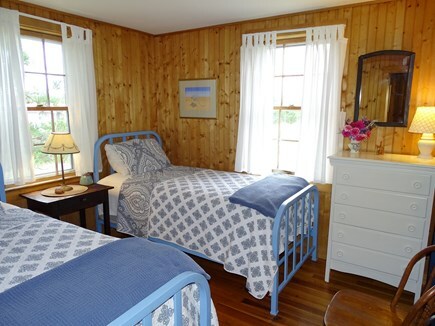 It's set on a private road that is great for bike riding to nearby Cape Cod Canal with easy access to the Canal bike path. The house has 2 living rooms, both with TVs. The downstairs living room has a full wall of windows to enjoy the views of the beach. A nice dining area includes an oak table that can accommodate 8. The owners also include fresh flowers to enhance your stay. The upstairs has a lovely sitting area ideal for spending a quiet afternoon reading while enjoying the beach view. 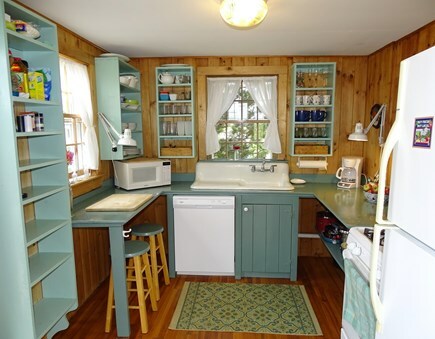 The kitchen is well stocked with everything you need, and includes a dishwasher, gas stove, refrigerator with ice maker. 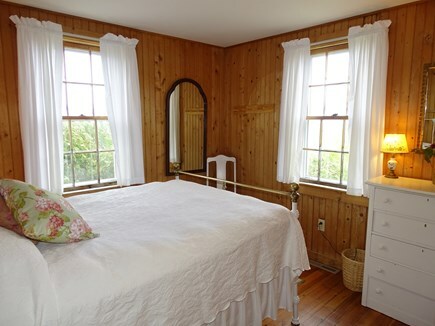 From the first floor front bedroom you can watch the sunrise over the bay and listen to the waves lull you to sleep. Downstairs includes a second bedroom with twin beds, a full bath with marble topped vanity. 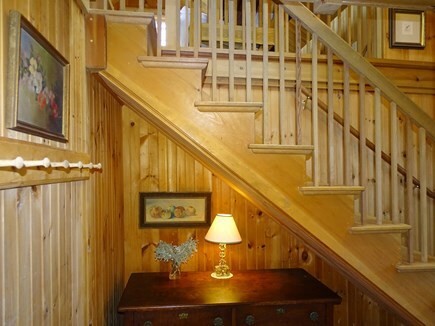 A lovely staircase leads to the second floor which includes a second living room with four skylights. A futon provides an extra sleeping option. A third bedroom with 4 skylights and a full window and a half bath are also on this level. Long-Term Rental (1 month or more): Winter renter is available from Oct. 1 - May 31. $1400. Natural gas heat and insulated. Perfect Getaway for the Fam!! We thoroughly enjoyed our stay in this home and the owners are very nice and great to work with. The home was perfect for our family and the upstairs allowed for our teenagers to spread out in their own space. To be right on the beach was amazing and we enjoyed the beautiful sunrise each morning! We hope to stay here again and would definitely recommend!! House has been in our family since 1947 when Ross's father built it by carrying building materials over the sand dunes. Ross and Jeanie live in Sandwich just on the other side of the Cape Cod Canal in a 200 year old restored home. 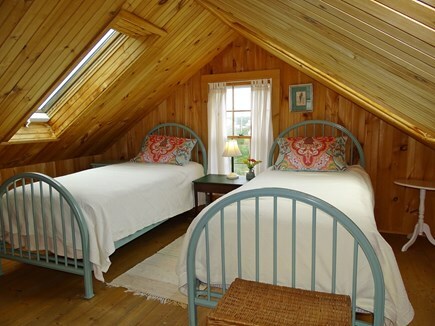 We've been renting the house for over 30 years and many of our guests have been coming here for generations. House has been completely updated and continually improved and our guests look forward to seeing what's new since their last visit. 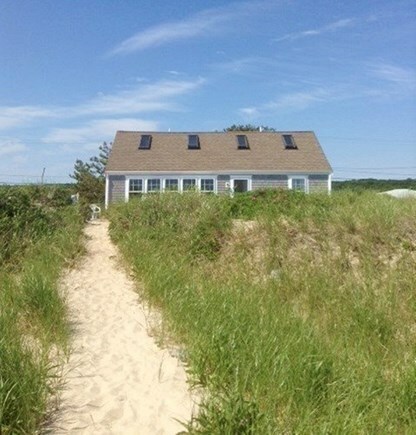 Private beach within walking/biking distance of Cape Cod Canal. Watch ships go through Canal, good fishing and bird watching. Beach ideal for families with small children to explore tide pools and build sandcastles. House has retained its cottage feel although completed updated and nicely maintained. 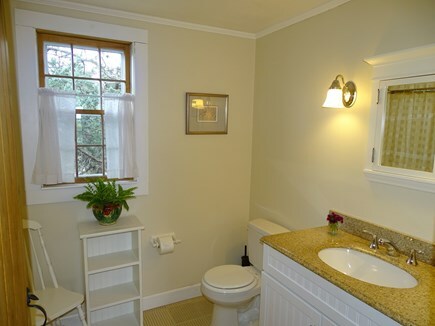 Very clean and each rental include fresh flowers. House is near to both historic towns of Sandwich and Plymouth, MA. 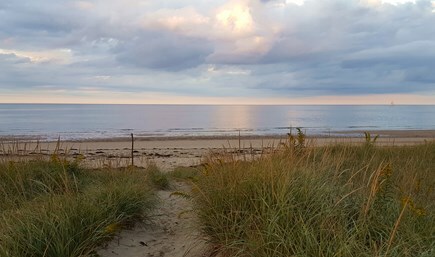 In addition to being on a beautiful sandy beach, the cottage also has easy access to the Cape Cod Canal Bike Path, a paved path running 7 miles along the canal to Buzzards Bay. Great place to watch small boats and vessels passing through the canal while biking or walking. Many of our guests have been staying with us for over 25 years, some coming as children and now bringing their children to experience this special place. 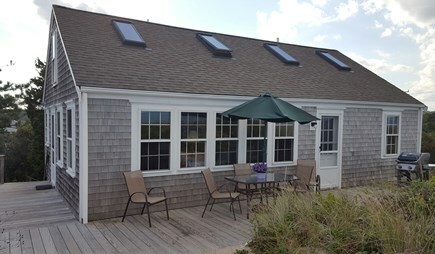 Sagamore Beach is very convenient to both Sandwich, Plymouth and other attractions nearby. Location avoids the traffic at the bridge yet is convenient to grocery stores, golf courses, and visitor attractions. Sandwich is a lovely village with gift and antique shops, a great library and museums to explore. Cape Cod Canal bike path is at the end of our private road and is great for fishing, biking riding and morning runs. Watch boats and ships pass through the canal and shore birds skirt the shore.